February 22, 2008 (El Paso, TX) Dos Lunas Anejo won the Gold Medal at the 2008 Agave Spirits Challenge last week in Cancun, Mexico. This is the first spirits competition in which Dos Lunas Anejo has participated. During the blind tasting, over eighty tequilas were judged based on aroma, initial taste, the body of the spirit, the finish and lastly, smoothness and quality. Judges included tequila aficionados, master tequiliers, mixologists, authors and professors. Made from natural yeast, Anejo is aged for eighteen months in bourbon barrels and New American oak barrels, offering accents of warm vanilla and spiced plums. The product line began with Dos Lunas Silver and Reposado which have paved the way for the brand. 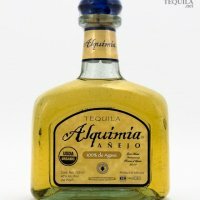 Similar to its predecessors, Anejo is a super-smooth, 100% natural, ultra-premium tequila. Consistency among all products is the key to the premium quality found in Dos Lunas Grand Reserve, a ten-year aged Extra Anejo launched in late 2007. Dos Lunas strives to provide the best tequila in the world. Introducing Dos Lunas Anejo fulfills the brand promise and completes the flight of Dos Lunas Tequilas. Dos Lunas Anejo will officially launch this spring.